With the World Cup fast approaching, it's hard to look past the obvious favourites when considering who's going to lift the trophy in Russia. 2014 winners Germany still look as efficient as ever, and Brazil will be desperate to bounce back from the 7-1 hammering they received at the hands of the Germans last time around. France have a great depth of quality, but the same questions remain as to whether or not they can overcome the dressing room dynamics and go all the way? Then you have Spain. The Spanish enjoyed an unmatched period of international dominance from 2008-2012, winning back-to-back European Championships and the 2010 FIFA World Cup. Their international success was paralleled at club level by FC Barcelona. Much of the success can be credited to the midfield duo Xavi Hernandez and Andres Iniesta who were the embodiment of both the club and country's possession-based football. With Xavi Hernandez no longer in the picture and Andres Iniesta going into his last international tournament, space opens up for a new star to take the reigns at the centre of Spain's midfield, and that star is Thiago Alcántara. His talent is unquestionable. He has excellent dribbling ability, his movement and ball control is up there with the best, and his precise passing can unlock any defence on any given day. Thiago was an integral part of the Spain Under-21 team that won the European Championships in 2011. He again featured in 2013, but this time as Spain's star player. He would guide his nation to a second consecutive European Championships, winning the player of the tournament award in the process. That same summer Pep Guardiola left ​Barcelona for Bayern Munich and Thiago went in the same direction. Injury marred his early days in Munich, making it difficult for him to string together a consistent run of games. Only managing 33 games in his first two seasons at the club, questions were being raised as to whether his career would be hindered due to injury. 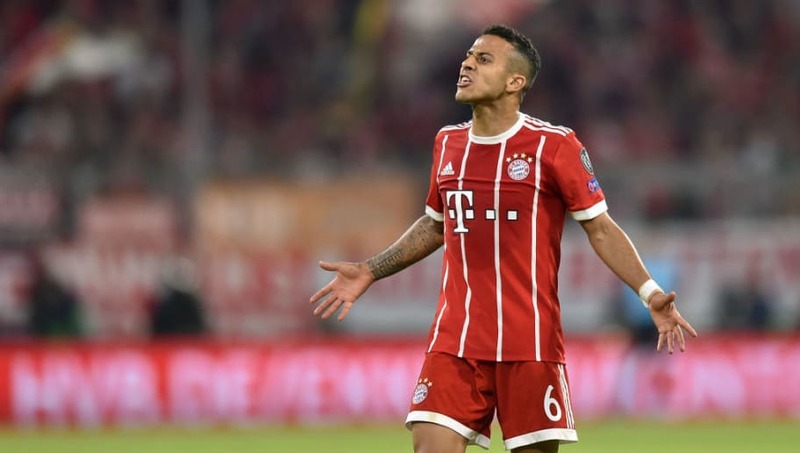 However, tenacity and hard work lead him through that period and lead many to believe that Thiago Alcántara can become the player he was always touted to be: the heir to both Xavi and Iniesta. Over the last three seasons at club level, he has been one of ​Bayern's best players. Producing some excellent individual performances in key moments. In the 2015/16 season, he scored an important goal of the bench in Bayern's 4-2 second leg turnaround against ​Juventus in the last 16 of the UEFA Champions League, and just two days earlier, scored two goals in Bayern's 5-0 demolishing of Werder Bremen. In the 2016/17 season, he produced a man of the match performance in the 5-1 home leg victory over ​Arsenal in the last 16 of the UEFA Champions League, and scored home and away against Bayern's closest rivals RB Leipzig in the Bundesliga. This past season, he scored three times in Champions League games, twice in the knockout stages. Not only has Thiago performed in important games, he has managed to put together a consistent run of games that in past seasons has eluded him. Thiago has featured in close to 30 games for the Spanish senior squad, including eight World Cup qualifiers leading to up to Russia. He's had to bide his time on the international stage. However, at 27 years old, he is in now his prime, playing great football and has a point to prove. They won't be a better chance for him than now to establish himself as the key man in Spain's midfield. Any success Spain has in Russia, Thiago Alcántara could be at the centre of it. La Roja plays their first group game on the 15th of June against Portugal with two following group games against Iran and Morocco.